Tawa Pool were the big winners at the recent Wellington City Council (WCC) Annual Parks, Sport and Recreation Awards night. Held at the National Museum of New Zealand – Te Papa in Wellington, the awards celebrated the successes of the great people that make up these business units of WCC. 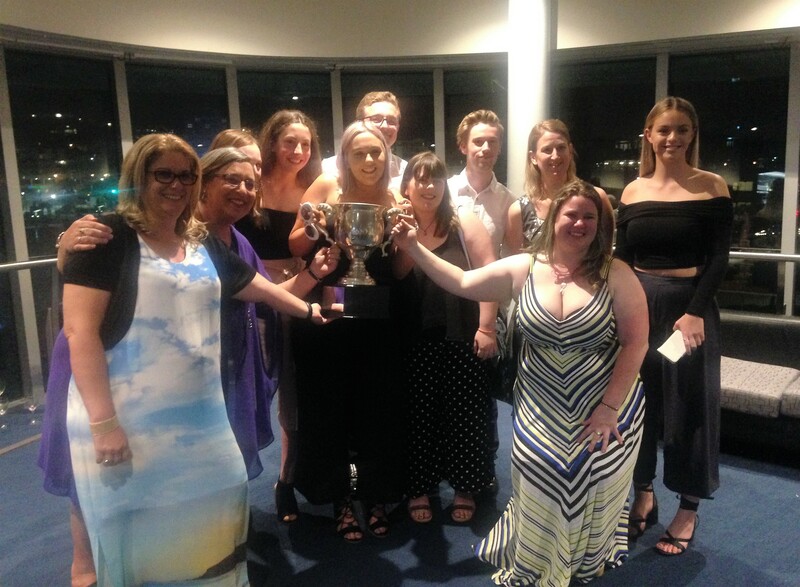 Swimming New Zealand Education Advisor Sarah Gibbison was invited to be on the judging panel for the Aquatic Education Instructor of the year award (third year) and also presented the award on the night. There were a number of nominations for the award this year and it was great to see all 4 pools (WRAC, Karori, Tawa and Keith Spry) represented in the nominations. When presenting the award Sarah congratulated SwimWell (WCC Swim School) on retaining their Gold QSS status for 2017 / 18 and also spoke of the many great opportunities WCC staff receive through SNZ and Skills Active qualifications and encouraged the staff to make the most of these opportunities. Congratulations to WCC on another excellent awards ceremony – keep up the great work!